The zombies are coming! 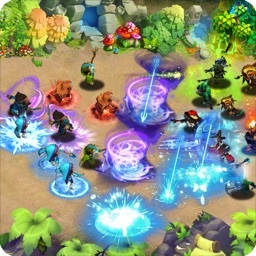 Gather your troops to defend from the zombie army horde trying to get through. 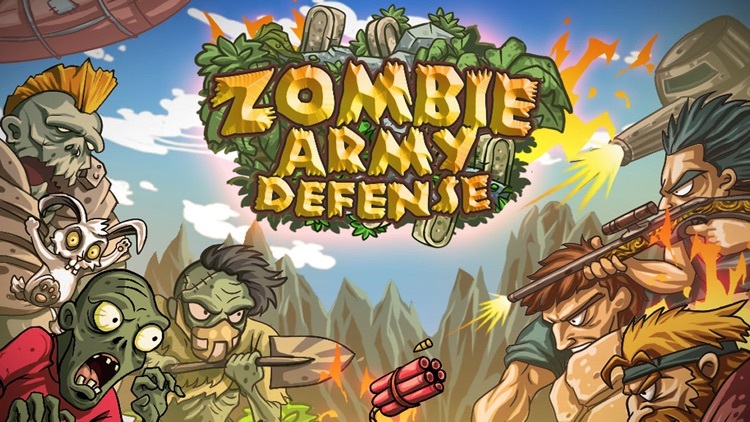 This unique zombie army tower defense game allows you lead the defense against waves of a relentless zombie army. Strategically place different types of laser, fire, electricity, gun, sniper, and many other types of td towers to make sure no zombies get through! 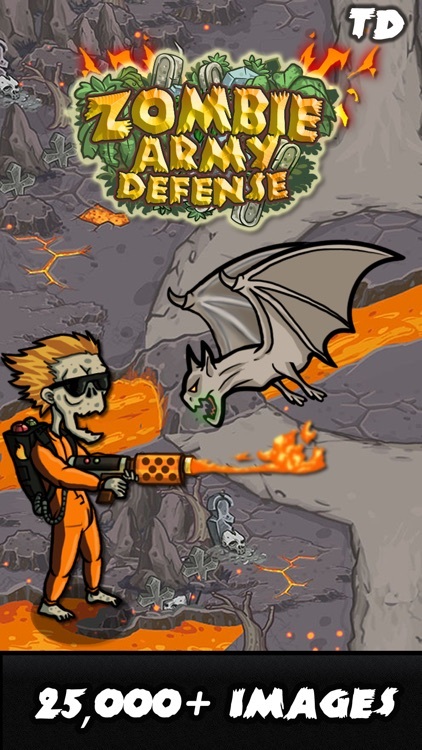 Download Zombie Army Defense Today! 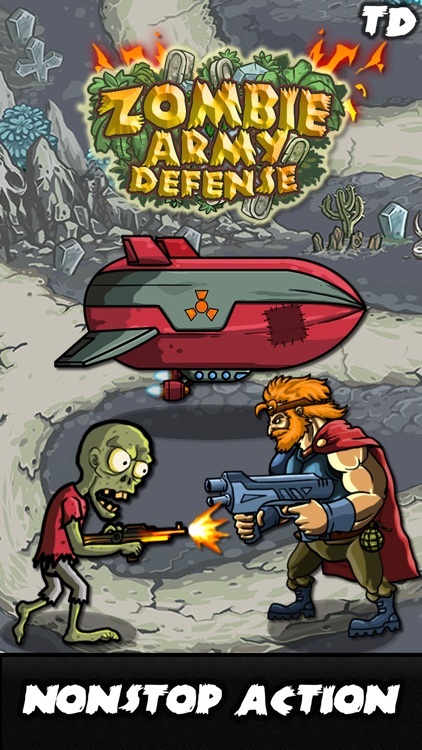 Upgrade to Zombie Army Defense HERO to use 3 new types of powerful heroes with no ads or fuel! - Over 25+ types of zombie army soldiers, creeps, zombie bunnies, and other enemies to fight! 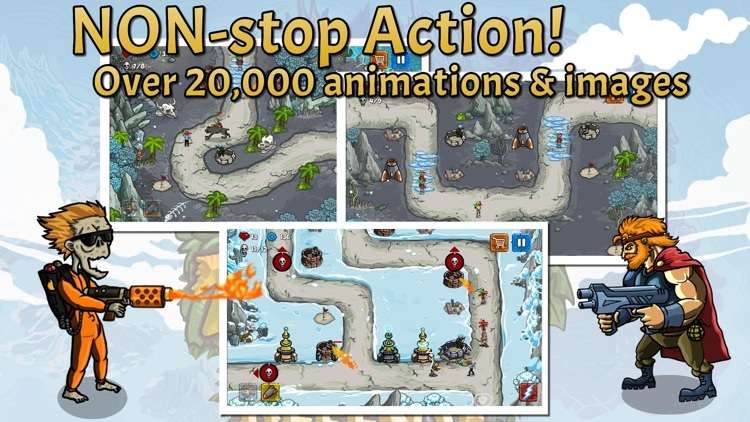 - Over 25,000 images and animations to make sure each battle is as different as the last! - New updates and maps added every month! 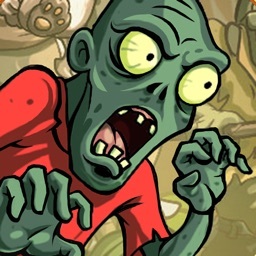 - Use your heroes and special powers for instant support to stop the advancing zombie troops. - Custom made music from award winning composers! Email [email protected] to report any bugs or ask questions. Tap on an empty slot to build a tower. Some slots are buried and you must dig up the spot in order to build any tower on that location. Select a tower; Machine Gun, Fire Gun, Ice Gun, Tesla Gun, Sniper, and Rocket (only good against flying and floating objects like blimps and boats). 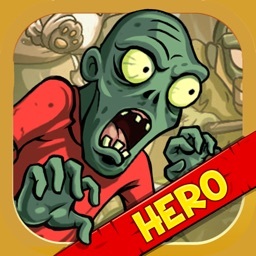 If you ever feel overwhelmed, click on the hero icon to place your hero in the middle of the zombie fight. Simply click on the hero icon and then press a location on the map to place your hero. You can also use free arial bombs every 90 seconds. Tap on the bomb icon and then press on the location of the map you want to bombs to land. Careful! It takes a few seconds for the planes to make their bombing run, so make sure you time the attack precisely! 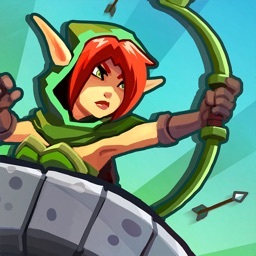 - Dynamite – Deal huge amounts of damage in a small area around the dynamite. Can kill dozens of zombie enemies at once. 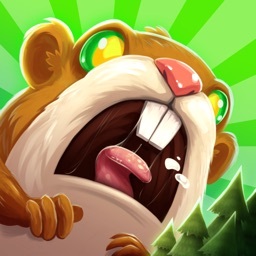 - Freeze Bomb – Instantly freeze all enemy zombies and vehicles on the map. This upgrade gives you time to set up more defense in order to defeat the enemies. Careful! New zombies entering the map WILL NOT be frozen. 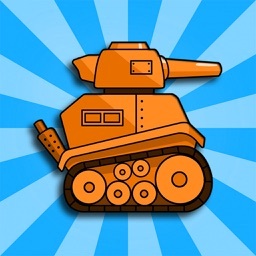 - Atomic Bomb – Destroy all the enemies on the map. This is a bit like a cheat button, but some of these levels are really hard, so we don’t blame you if you use them! 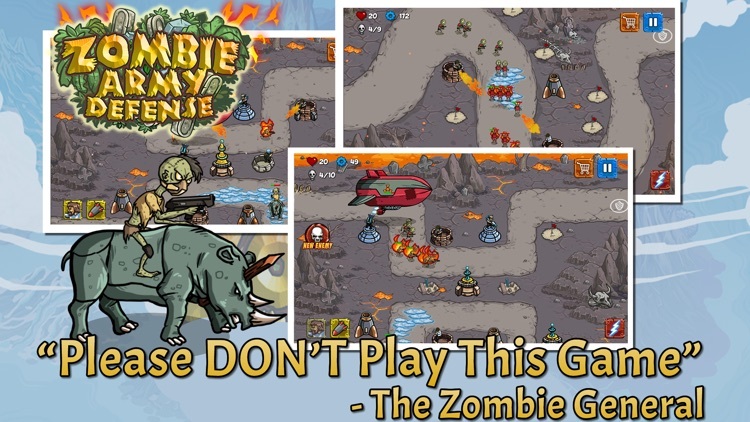 Over 25+ various enemies, ships, vehicles, and creeps found throughout the zombie army defense world! More enemies and maps are added every month! Over 25,000 images, animations, rare spawns, random spawns, and map extras can be found throughout the game. You’ll find something new each level. But the real questions is, can you find them all?